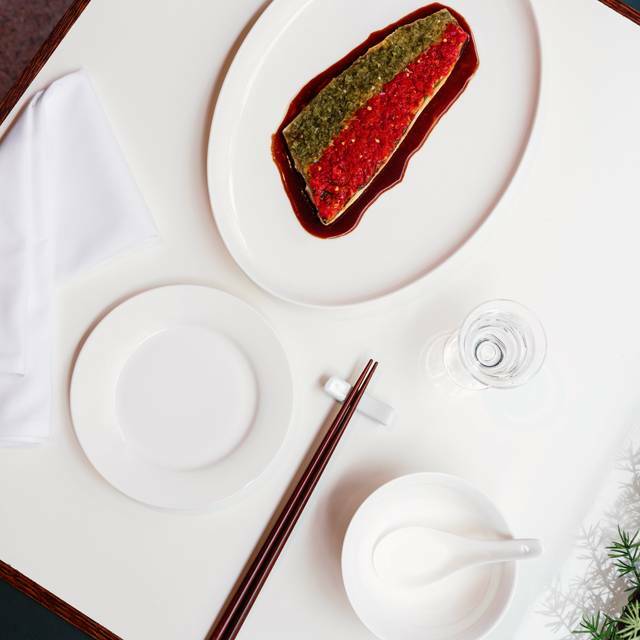 Located in the heart of London’s theatre land, XU Teahouse & Restaurant is reminiscent of the Taiwanese social clubs and luxury dining rooms of the 1930s, offering a unique journey into Taiwanese culture and cuisine, from its food, cocktails and tea offerings through to its interiors. The restaurant is situated over two floors: ground floor tea rooms, Mahjong rooms and the first floor dining room. During the day the ground floor lends itself as a Taiwanese teahouse and by night experience a bustling Taiwanese brasserie. 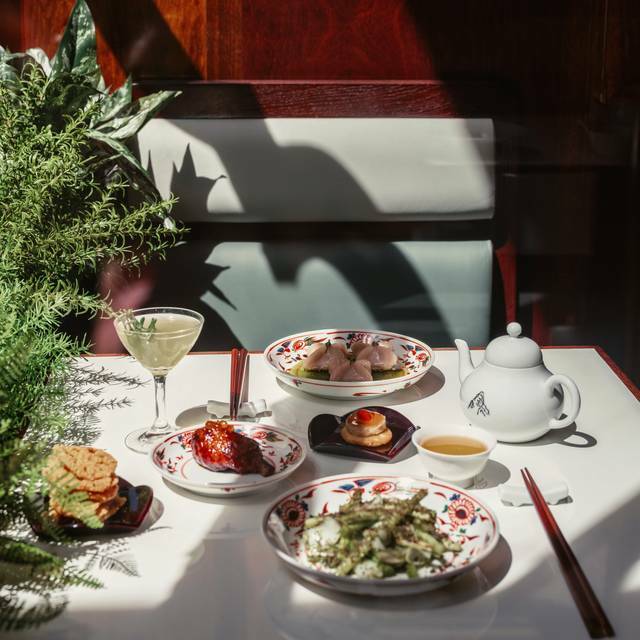 The interiors of XU are glamorous and elegant, incorporating warm rich wood paneling an emerald lacquered tea kiosk, handprinted murals, and a Longifolia Tree. 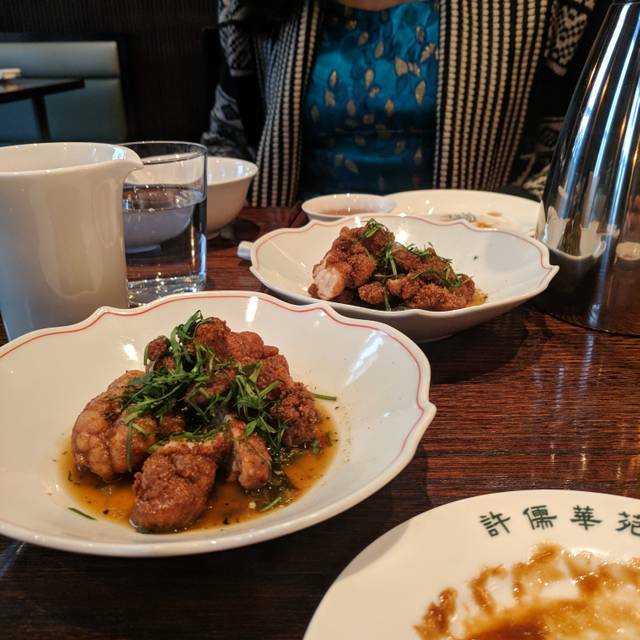 Fourth visit and we have not been disappointed with any dish on any visit-Xu is a bit of a treat but delivers every time. Greatly enjoyed dining here. Delicious and fantastic atmosphere. Nice restaurant with friendly service and lovely atmosphere. I wasn't impressed by the food but I haven't tried any of the fish dishes. The food is quite good with a variety of flavors. You have to book a reservation in advance as the space is quite tight and small. The service is quite poor. We had to wait 45 minutes for our food to arrive, we had to complain, in addition, they brought all the food together which turned me off a bit. Overall it's a great experience I have been there twice, would def recommend it to all my friends that want to eat quality food. Xu is outstanding. The decor is quaint and lovely. You don't care that you are quite close to the other tables because it feels authentic. The food is GREAT. Only very tiny quibbles: the puddings let down the rest of the food - we wished we had left on a high and had icecream at Gelupo instead! The service was almost a little cloying with a lot of checking that we were happy - and then managed to forget our wine. I'd still leap at the chance to go back and I literally asked for a doggy bag. Wonderful and different. Would highly recommend. Great for pre-theatre. wonderful Taiwanese food! 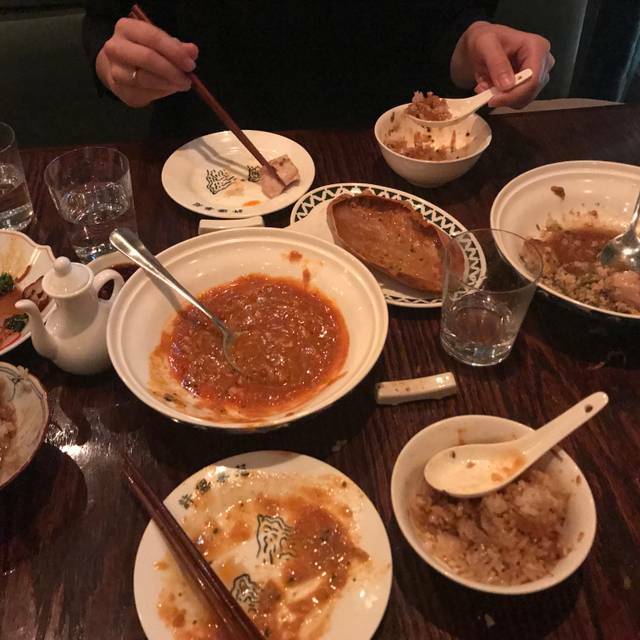 all dumplings are excellent, the mapo tofu is divine (even non-vegetarians liked it a lot), great steamed rice & sticky mushroom rice in a lotus leaf, great cocktails and sake! would recommend it to anyone!!! 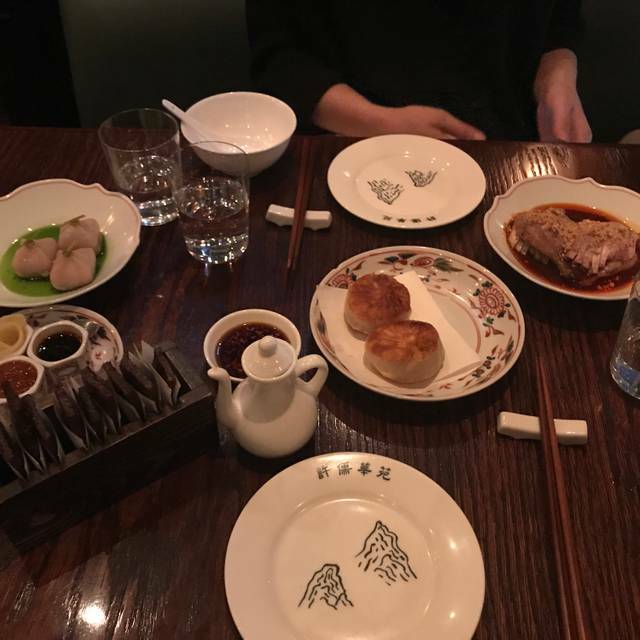 From the wood decor to the assured professional service, Xu takes you to 1930s China. The food is memorably delicious and special. There is nothing ordinary on the menu. Everything has been prepared with precision. The seat arranged for us is under the stairs, which is very annoying if anyone walks on it. I told the waitress several times for another table, but she said it’s not possible due to lack of tables. This weren’t informed to us before reservation, if I know this would be our seat, I would definitely rearrange a date. This is very disappointing!!! Ambience and Vive was great, amazing food with interesting dishes. The char sui pork was Peng! Would highly recommend to everyone! Amazing ambiance, very tasty food, beautiful menu design. Potentially one of the worst experiences I have had in LDN for some time. Incompetent wait staff who were not aware of what was and was not available for the day. A friend found a piece of metal in his dish, turned out to be from a dish scourer - the Manager was told and was not particularly bothered nor surprised. Xu looked wonderful and the lunch lived up to exception although the portions are on the small side, Would like to go back to try dinner. The vegetarian dishes did not meet expectations; especially for the price and reputation of the restaurant. The food was subpar and the service was not great either. The food took ages and it was hard to get the staff's attention. Overall below average experience. Excellent place, high quality cuisine, portions a little small the only negative. Was nice but bit over priced for what we got, beef on rice was bit dry and had not much taste, dumplings where great, chili crab too. Simply Lovely - would definitely return. The set menu was great value. This is one of the most beuatiful dining rooms in London. And the food lives to up the expectation every time. Charming authentic (?) atmosphere. Very tasty food in small portions. Decided to try despite reviews but were also disappointed. Nice atmosphere - setting is great. Very stylish, spacious table. Food not so great - some things were cold and all very salty. Salt level was so bad we were unsure whether it could have been MSG or not. Can get better food for a better price in China town next door, especially the dumplings. A nice experience thanks to the decor but will not return. A posh spin on Taiwanese food that doesn’t hit the mark or justify the price point. This is our first visit to Xu, the overall impression is great! As my friend is a vegetarian, so we only ordered veg dishes. Our favourite dumplings are the Mixed mushroom dumplings in sichuan chilli oil as well as the Sweet potaoes taro dumplings. Not so much of a fan of the Spring Xian Bing Fennel & Glass noodle. Also order the vegetarian Mapo tofu, and it's just so-so. Would try some other meat dishes the next time. Beautiful decor and great Taiwanese food at reasonable prices. 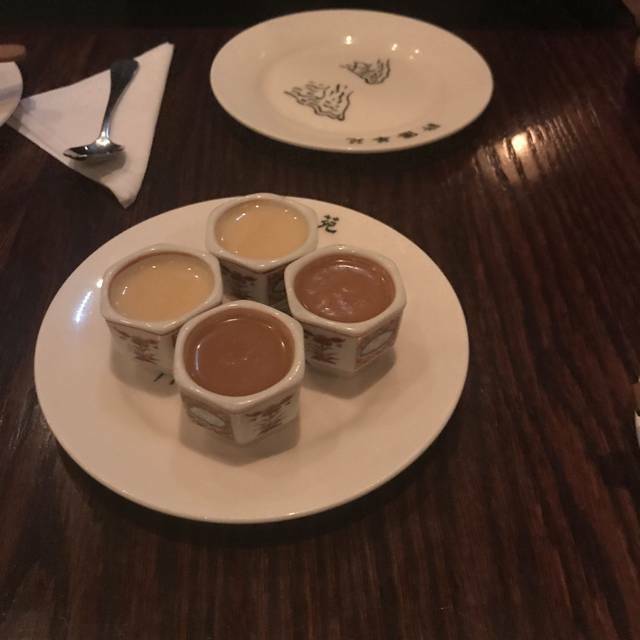 From XU's wonderful authentic food, attentive and friendly service and beautiful surroundings, I would highly recommend this restaurant,and indeed already have to friend's and family.From our starters through to dessert, everything was astoundingly delicious and perfectly balanced. The tea we chose was tasty and served with care. The service of each course was extremely timely and the wait staff were professional and accommodating. The surroundings of the restaurant are beautiful, especially in the upper, larger part of the restaurant. My only small criticism would be that the table we sat at was a little small for the many dishes and cups that were involved on our meal, but I am sure this would not be a problem with most other tables; as we were a party of two who chose to sit in a corner area. Depending on your budget and how much your order, this place would be perfect for a special occasion or just to drop in and sample the delights of their menu. Xu was a very nice upscale asian restaurant. I absolutely loved the interiors. The decor was immaculate and I felt like I was transformed into a 1950's set in traditional tea house in the mountains somewhere. The food was beautifully presented, however a bit oily for my taste. Being Taiwanese myself, I was hoping for some traditional cuisine but realized it was more of a fusion which was a nice change. Was great to try the scallops,crab and the beef in cast iron skillet but again a bit too heavy for me. Absolutely delicious food. Interesting, beautifully presented and a bit different. We loved it for our pre theatre meal. Limited and expensive wine list. Lovely staff, a bit slow in the drinks when we arrived, but good advice in food quantities. The portions were a bit small but we were advised correctly in overall quantities. Would definitely go back. Phenomonal flavours. Wonderful service and a beautiful space. I adore this place. Food, service and ambience all 1st class. Would certainly recommend and will certainly make further visits. Very good dinning experience,and refreshingly different decor.A little gem. 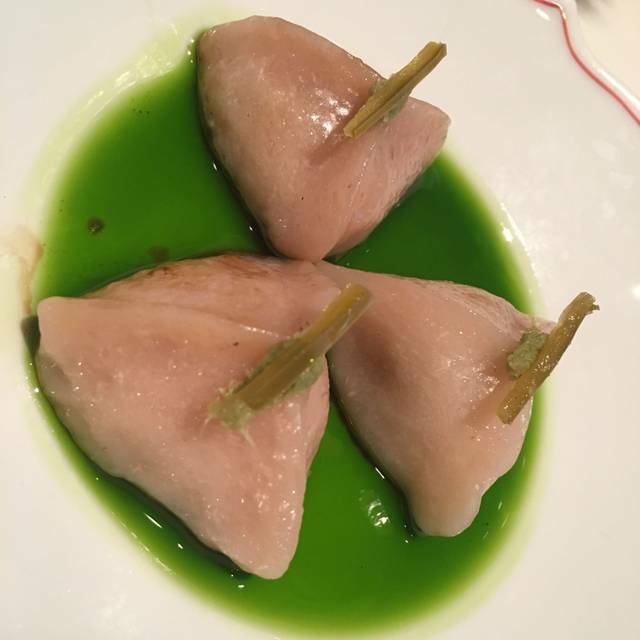 Amazing experience; delicate and delicious dumplings. Will be back to try dinner menus. Delicious food - would return if only for the rice with the lardons! mmm! Overall, I really liked the place. We were seated at once even if we were 15 minutes early and got a good table. I booked this place a month ago so I was excited to try it out. Service was excellent throughout the evening. The decor was nice but did not feel authentic enough, maybe because it wasn't covered completely through the ceiling with dark wood. 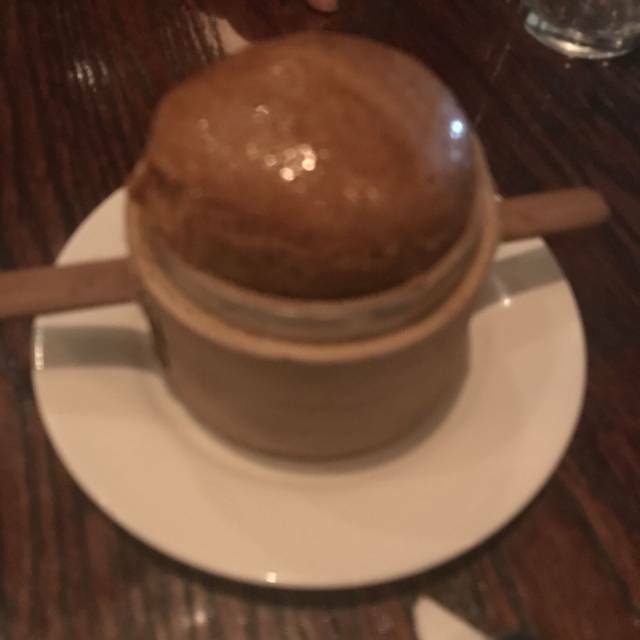 The food was very good overall. My top dishes were the Chicken wings, Aged beef & Tofu which were all excellent dishes. The Taiwanese beer was also amazing which says a lot coming for someone who is not a big fan of beer. Overall the place is well worth a visit and good value for money. I was a bit disappointed for only having the lunch menu available. Not like before where we had the whole Carte. Refined, regional Chinese cuisine with a twist. The dishes and sauces were done very well and authentic. Some dishes I have not seen since I was a child in East Asia. The decor took me back in time too. Excellent service. Excellent food too though the dishes are delicate rather than punchy (apart from the beef tendon which was fiery). I had expected more complex flavouring. 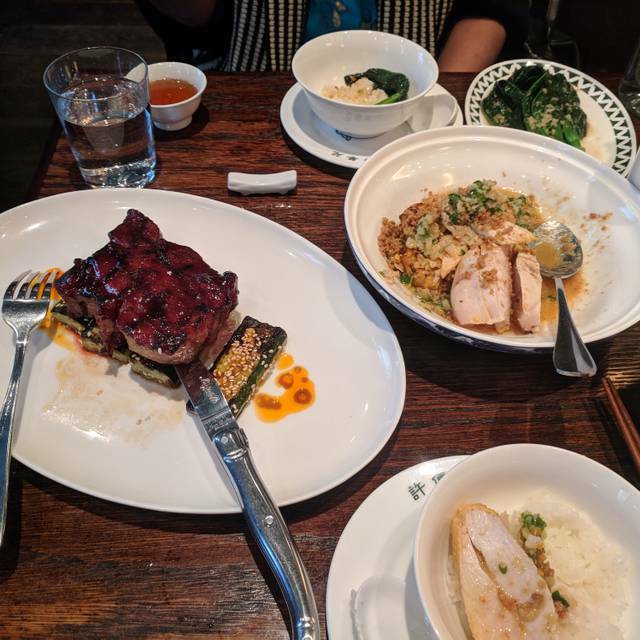 Don't get me wrong, the food was very tasty ( I've heard it is meant to be authentic but with a Westernised edge) That said, I don't think £18.50 for chicken breast and crispy skin was justified, however succulent and well flavoured.